It makes an absolute sense to visit the small, quaint French keepsake that is Annecy, when you’re already in Geneva. The books detail Annecy with grandiose words and prose but words just don’t do it justice. It’s absolutely gorgeous and one of the most beautiful places in the world! Set along the scenic backdrop of the snow-covered French alps, Annecy is a classic styled old French town with architecture from ancient France and Switzerland, featuring even the 13th century Chateau d’Annecy – a castle which was once home to the Counts of Geneva. You will also see 12th-century Palais de l’Île, located on a small triangular islet surrounded by the Canal du Thiou, it has been a lordly residence, a courthouse, a mint and a prison over the centuries. Along the cobblestone streets, are boulangeries and patisseries that sell classic French pastries and delectable cured meats for cheap. We were able to try some authentic French crepes while walking around taking in the sights. It’s one of the most stunningly beautiful places in the world and we will definitely be back someday. Paris is THE dream destination of every girl in this world. For the obvious reason that it is the city of love. A city to celebrate love for your partner, love for the city’s rich history and culture, love for its breathtaking sights (including the hot French guys), love for the French language, love for French food, love for fashion and of course, love for the iconic Eiffel Tower! Ever since I was a little girl, Paris was definitely on top of my dream destination list. I promised myself that when I grow up, I will do whatever it takes for me to travel the world and hopefully get the chance to wander around the city of love. Fast forward to my 20s, I couldn’t believe I had the opportunity to travel to Paris. Alone. I’ve always thought that when I visit this place, I will be with someone—perhaps with my new husband as we celebrate our honeymoon? I don’t know. I just never thought I’d go to Paris alone. As Audrey Hepburn once said, “Paris is always a good idea.” However, the thought of traveling alone, for the first time – I don’t think that’s always a welcoming idea! Of course, only a loser would pass up this opportunity. 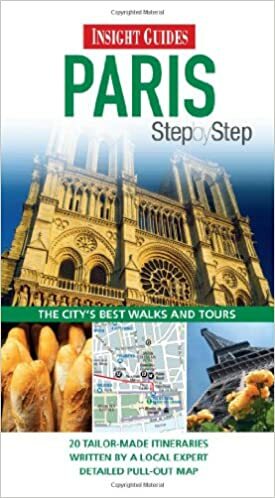 I bought a travel book about Paris to help me with my planning. It was very helpful because not only does it have a lot of photos, addresses and phone numbers of the places (restaurants, museums, tour busses, hotels, etc. ), it also has a comprehensive city and metro map. Prepare a list of places you want to visit, refer to the city map and decide your itinerary per day and how you’ll be able to reach the place. Wander around. Don’t be afraid to walk alone even if deep down inside, you’re a bit paranoid. Haha. It’s okay not to follow your itinerary. Get lost and you’ll end up having the best stories! When you get lost, I am sure you will discover something amazing! Of course, be extra careful. Try to devour a lot of French food, as much as you can. Even if some of their food may taste odd, try it for the sake of experience. France offers a wide range of desserts! Make sure to try it out- from the expensive ones to the cheaper ones from local pâtisserie.